Finally, I got time to move with this EQ project. Let me introduce cynically called 69-EQ. 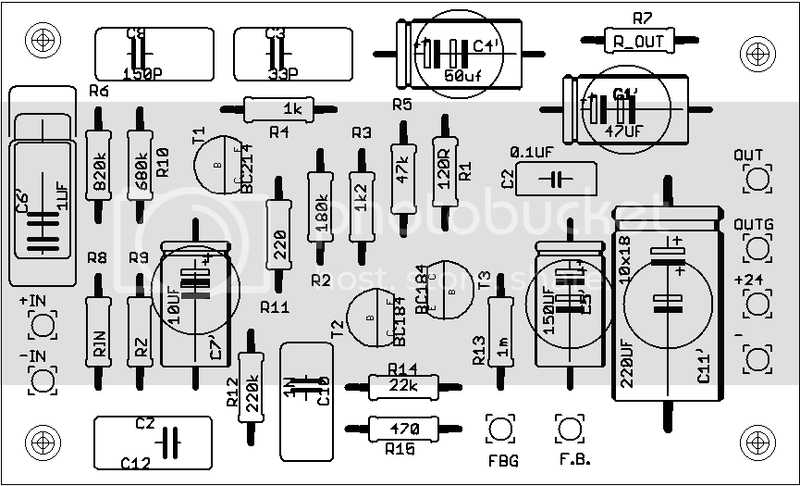 simple electronics, output part of BA-283 used for makeup stage. 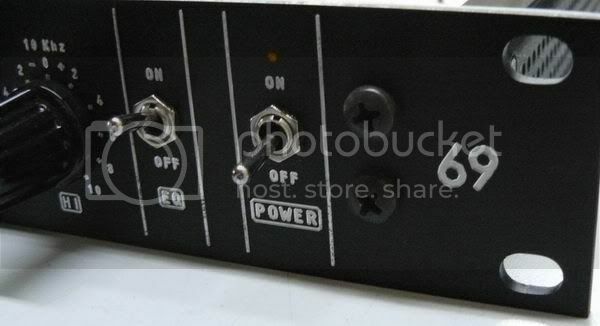 (This is IMHO best makeup amp for Helios inspired passive EQ circuit sound-wise). This way EQ can be used for mastering as well, if precision high quality comp's used. Inductors: Carenhills layout done exactly by .pdf on their webside. Not tested yet. the Carenhills and post the results). (all you know, I hate "punchy crispy big" sound talks, better to hear once). 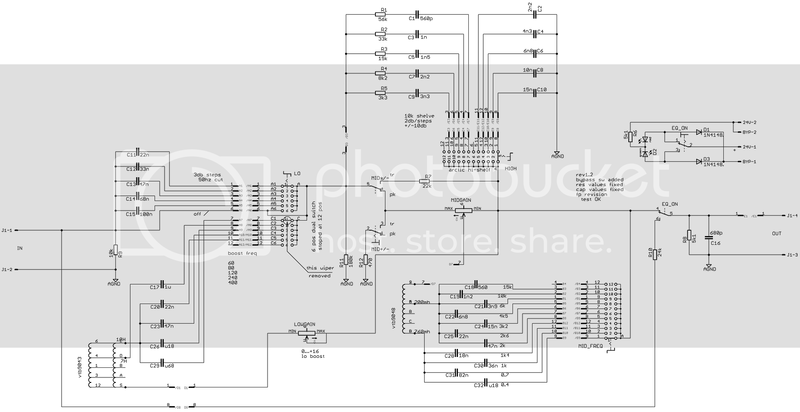 like 1072 clones, DC servo'ed Jenssen's circuit (like on JLM website), etc. Just insert it in between first and second stage, and use more gain on second stage. is worked out. (BTW, Lorlins are cheap but very reliable). 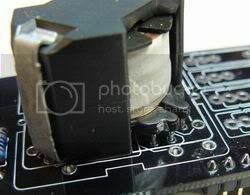 There are two output options on makeup card, choke or 1166-like transformer. and here you can see some preliminary photos, schematic, EQ pcb stuffing. (Fell free to ask for Corel file if you ordered the kit/pcb). (closer to power supply) when low boost was at the maximum (+16db) at 60Hz freq. Nothing unexpected (huge 10H inductor picks up the hum). I aded mu-metal shield to toroid, and hum gone to -78dbV (total noise of channel). Of course, this is UNWEIGHTED level, which gives not so bad S/N. anyway, you can try other transformers. Sound-wise: I hate punchy-crispy sh*t talks. For me, it sounded simply great. We did some tests at friend's studio, I liked this EQ very much on drums and distorted guitars. bass, even can go good on vocals. this eq worked best for me. Again, this is my taste. Re: 69. Not Helios/Phaeton. Pics/schematics/building support thread. Great Job Igor! 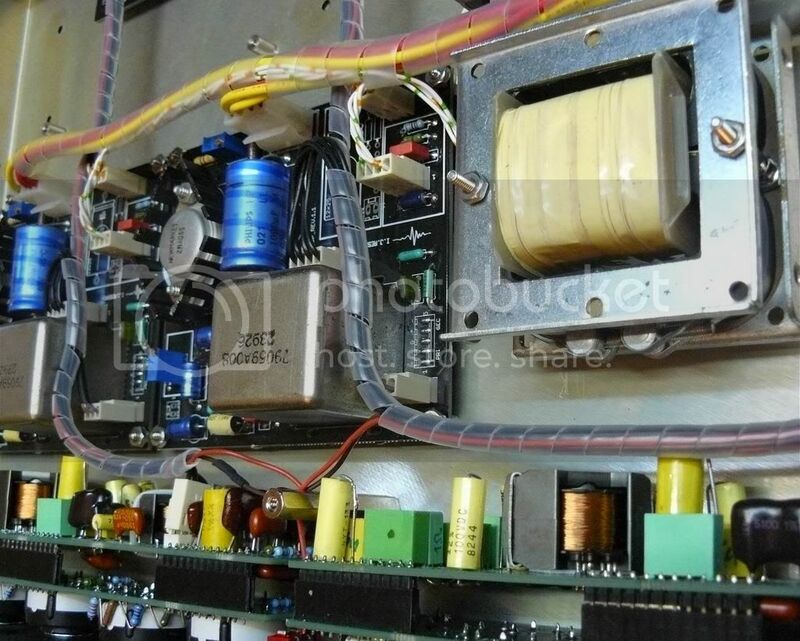 are you selling the BA-283 PCB along with the EQ PCB's? very nice as always!! 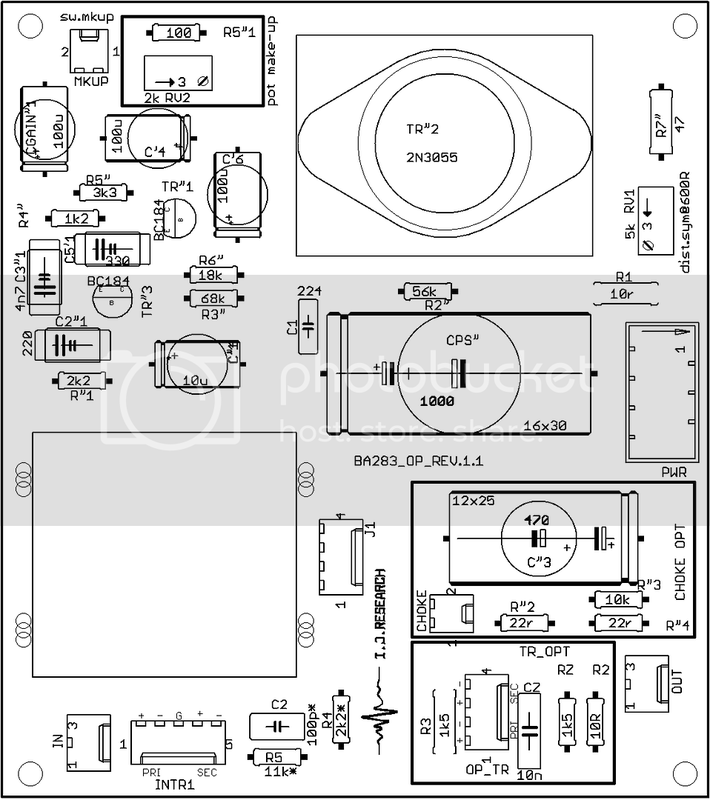 This is not full BA-283, only the output part. I think to make 69 modular as possible. I.e. 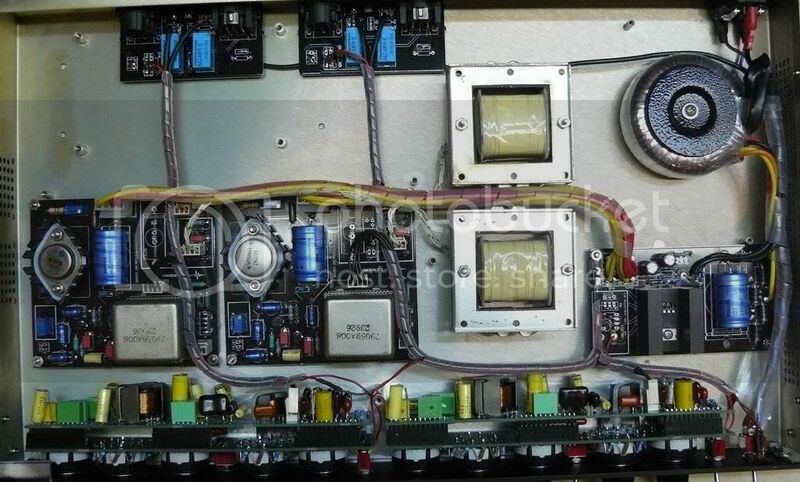 EQ PCB's, makeup boards, bypass boards will be offered separately. preamp's...or use your make-up boards, the limit is the fantazy. it will be cheaper than buy everything from different suppliers and pay shipping. Interested in estimated pricing for complete EQ kits and just boards with inductors. Thanks Igor! Project looks great! i'd be down for 2 channels of the EQ boards & parts kits. possibly 4 channels if i'm flush at the time it all goes down. did you try the EQ with the original helios gain cards circuit? when i make mine i might try breadboarding the original input card... compare that to the neve style... also the TG style gain stages could sound good too. i like the modular approach! I will grab 4 eq kits "by very low price"
Keen on 4-10 sets, it all depends on costs. I'd like to see options for a FULL kit, a PCB + Inductors and PCB only prices. How much for a full kit ? Super cool! Kits, or at least the inductors sounds helpful. 2 Kits for me !! I'd be in for a pair of eq boards+inductors. Think I'll use a different make up stage. Interested on 2 Kits!!! depending on price!